Simon's DNA Musings: Could Lamanite DNA Just Disappear? 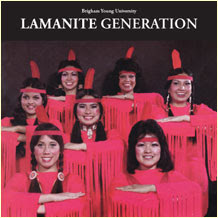 Could Lamanite DNA Just Disappear? The lack of molecular ties between Native Americans and ancient Israelites has forced many Mormon apologists to resolve their cognitive dissonance by a change of tack. If you can't make the facts fit with scripture then make scripture fit with the facts. It is an uncomfortable fact for Mormons that American Indian DNA is of Asian origin and if there were any Israelites among their ancestors then their Israelite genes appear to have disappeared. Some LDS apologists, desperate to salvage faith at any cost, are arguing that the Lamanite DNA has indeed disappeared. Putting aside the testimony-shattering reinterpretations of scripture this requires, is it true that Lamanite DNA could so easily be lost? Human population geneticists have made tremendous progress in unravelling the origins of the human family and the routes our ancestors followed as they colonized the globe. Most of this progress has been made by studying the simple genetic configurations of Y chromosome and mitochondrial DNA. Until now scientists have largely ignored the DNA that comprises the vast majority of our genome. This is the DNA that resides within our remaining 22 pairs of chromosomes, known as the autosomes. Together with the X and Y chromosomes it is known as genomic DNA. Studying our genomic DNA is enormously challenging. Firstly, there is so much of it. The human genome contains three billion base pairs of DNA. Secondly, the pattern of inheritance of genomic DNA is less straightforward. Unlike Y chromosome DNA, which is passed from generation to generation largely unchanged from father to son, and mitochondrial DNA, which is passed largely unchanged from mothers to daughters, most of our genomic DNA gets shuffled every generation in a process called recombination. 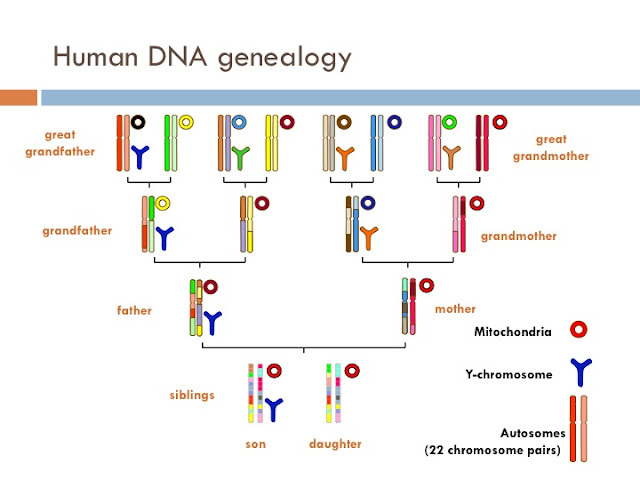 Note how the father has a blue and a red copy of each chromosome, one derived from each of his parents. Similarly, the mothers chromosomes are derived from each of her parents. But the parents don’t pass on chromosomes that came from only one of their parents. Each of the 22 chromosomes they pass on will contain fragments derived from each of their parents. 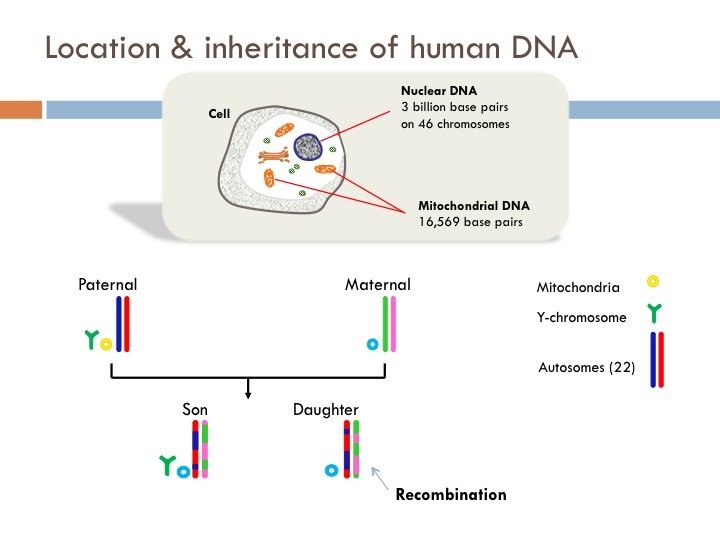 This happens in every generation, consequently the chromosomes that we inherit from our parents contain fragments of DNA from a vast number of our paternal and maternal ancestors. This is illustrated in the four generation pedigree chart below. Note that the son carries the blue Y chromosome of only one of his four great grandfathers and the red mitochondrial DNA of only one of his four great grandmothers. Yet he carries fragments of chromosomal DNA from all eight of his great grandparents. Tremendous advances in DNA technology in the last decade are now making it feasible for scientists to look much further into the human genome to unlock some of the deepest secrets of our ancestors. Most of those secrets are buried in the 3 billion base pairs of DNA in our genome. But how is it possible to make sense of this vast amount of DNA sequence data? Most scientists studying the human genome focus their attention on what's different between genomes rather than what's the same. That reduces the information they have to deal with by roughly a thousand-fold. By far the most common difference observed when the entire genome sequence of two different people are compared, are single base pair substitutions known as Single Nucleotide Polymorphisms (SNPs, pronounced SNiPs). The word "polymorphism" simply means different forms. The figure below illustrates a G/T SNP. SNPs are random variations that have arisen in a single human genome in the past and then subsequently passed on to future generations (we typically pass on about 50 or so new mutations to our children). Since mutations are arising all the time human tribes that become separated soon begin to accumulate large numbers of SNPs that are unique to their population. Several ground-breaking discoveries using whole genome SNP analysis have been made in the last few years. It has long been known that humans co-existed in Europe with the closely related Neanderthals (Homo neanderthalensis) about 30-40,000 years ago. Scientists have speculated for many years that humans and Neanderthals may have interbred but the evidence was largely inconclusive. In 2010 German scientists succeeded in isolating DNA from Neanderthal bones and sequencing some of the Neanderthal genome. (The team that made the original discovery has recently published the full genome sequence, making it freely available to the scientific community). The first things scientists did after sequencing the Neanderthal genome was to look for differences between the Neanderthal and human genomes. This study revealed many thousands of DNA sequence differences, or SNPs, between the two species. They also found that every human who is descended from "non-Africans" has a little Neanderthal in them - between 1 and 4 per cent of their genome. Its now clear that humans and Neanderthals interbred and had healthy offspring. Neanderthals never lived in Africa, which may explain why contemporary sub-Saharan Africans have no trace of Neanderthal DNA in their genomes. The surprises in our family tree don't stop there. Scientists now believe that our ancestors fraternised with other distant relatives. In 2012 scientists sequenced DNA recovered from a bone fragment found in a cave in the Altai region of Siberia. They discovered the bone belonged to a new species, Denisovans, which are more closely related to Neanderthals than humans. 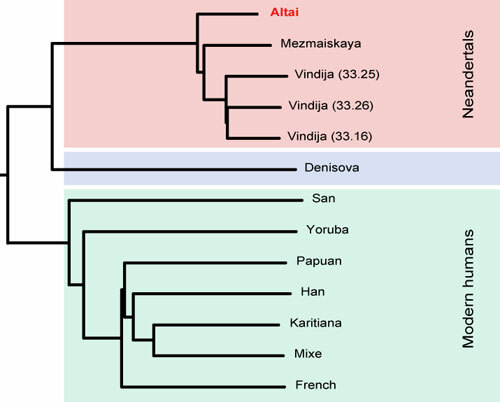 Remarkably, when the Denisovan genome sequence was compared to the genomes of humans from all around the world, it was found that Papua New Guinea highlanders, Melanesians and Australian Aboriginals shared a little (~5%) Denisovan DNA. The Denisovan discovery fits neatly with widely accepted views of human colonisation of the world. The very first humans to migrate out of Africa travelled around the coast of India, reaching New Guinea and Australia about 50,000 years ago. The two groups are likely to have interbred when they first met and the Denisovans subsequently died out. Who knows what other genealogical surprises are contained within our genomes. The research on Neanderthals and Denisovans clearly illustrates that if ancestors of other ethnic backgrounds are hiding unnoticed in our family trees, traces of their DNA can be found in our genomes; even after tens of thousands of years. It is no longer reasonable to claim that Lamanite DNA cannot be found. The recent advances in whole genome sequencing and analysis have changed the research landscape. Genetic tests are now so sensitive, that it is possible to detect a tiny fraction of a percent of mixed ancestry in a person’s DNA. Scientists are beginning to explore the origins of Native Americans using what they call Ancestry Informative Markers or AIMs. These are SNPs that have been shown to be specific to a particular indigenous group. In 2007 scientists identified 8,144 AIMs found only in the genomes of the Pima and Maya. They demonstrated that their panel of AIMs can distinguish between chromosomal segments of Amerindian or European ancestry. The goal of their study was to determine the ancestral origins of indigenous diseases, but their conclusions have profound implications for those interested in Book of Mormon studies. Using ancestry informative SNPs it is possible to estimate how long ago foreign DNA entered a population. You will recall that most of our genome gets shuffled every generation as sister chromosomes undergo recombination. After foreign DNA enters a population random recombination events that occur every generation fragment the foreign DNA. The longer the DNA has been in a population the shorter the fragments of foreign DNA become. 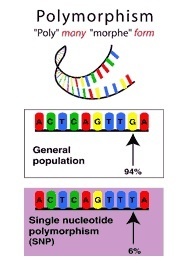 The AIMs SNPs can be used to determine the average length of the fragments of foreign (e.g. European) DNA. Using this approach scientists were able to determine quite accurately the number of generations since European DNA entered Mexican American populations. In the table below you will observe the estimates they obtained for all 22 chromosomes using two methods (STRUCTURE and ADMIXMAP). They were able to determine that the European DNA in 24 Mexican Americans originated within the last 10-25 generations. 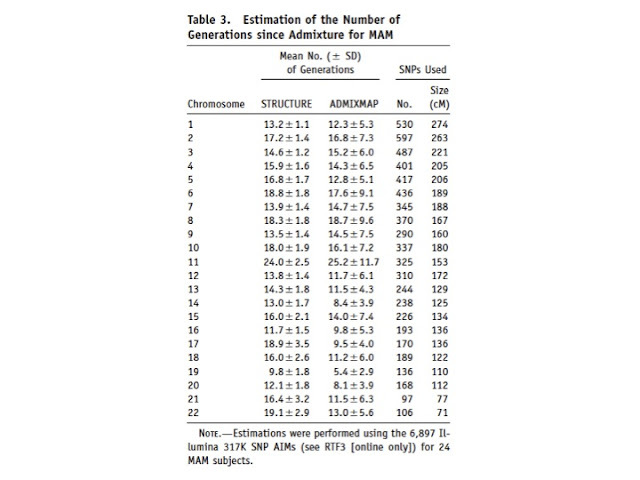 The average for all the chromosomes was 16 generations using the STRUCTURE method and 13 using the ADMIXMAP approach. These estimates align well with the known history of European admixture with Native American populations within the last 500 years. Middle Eastern DNA is relatively closely related to European DNA and they are likely to share many AIMs. Consequently if there was Middle Eastern DNA it would have been possible to detected it with the European AIMs. If these individuals had Middle Eastern DNA in their genomes that arrived over the last 2-3,000 years, the scientists would have noticed something unexpected in the results. 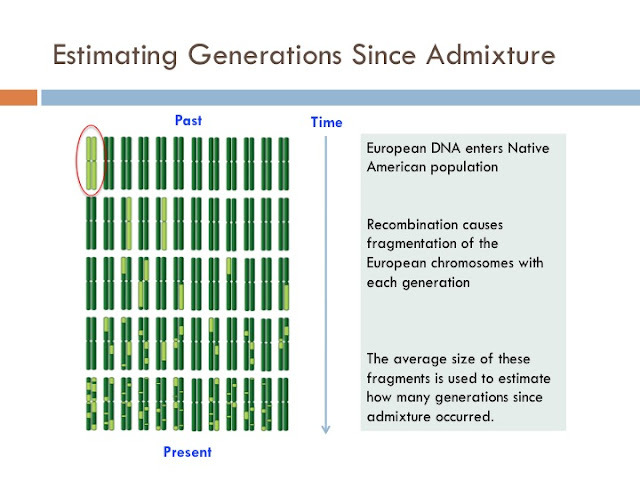 Having been through up to 6 times as many generations of recombination this DNA would have caused the estimates of the number of generations since admixture to be larger. About a decade ago I made the following observation. "In 600 BC there were probably several million American Indians living in the Americas. If a small group of Israelites, say less than thirty, entered such a massive native population, it would be very hard to detect their genes today. However, such a scenario does not square with what the Book of Mormon plainly states and with what the prophets have taught for 175 years. The Book of Mormon records that soon after their arrival in the Americas, the descendants of Lehi “multiplied exceedingly and spread upon the face of the land” (Jarom 1:8). By about 46 BC, after which time they had joined with the Mulekites, they had multiplied until they “covered the face of the whole earth, from the sea south to the sea north, from the sea west to the sea east (Hel. 3:8). By the time of the final conflagrations around 400 AD, the Israelite populations numbered in the many hundreds of thousands if not millions. There is not a single mention in the text of groups of people living in ancient America, other than the Jaredites, Lehites and Mulekites. All three population groups had very large populations. It is hardly surprising then that Joseph Smith and all other church leaders have regarded Native Americans to be the descendants of the Lamanites. The God speaking to Joseph Smith in 1830-31 referred to the “borders of the Lamanites” when talking about missionaries being sent to teach Native Americans who had been relocated to Missouri (D&C 28: 9; 54: 8). Mesoamerican apologist Daniel Peterson immediately seized on the bolded portion of my statement, proclaiming widely in apologetic circles that Southerton has conceded that DNA is unlikely to ever be able to detect Lehite DNA. My comment was a reasonable observation at the time (2006) given the limitations of the mitochondrial and Y-DNA studies, but it is no longer correct. Let's suspend disbelief for a moment and consider that the apologist are on to something, and all the prophets have been misguided. Lehi and his small band colonize a restricted region of the Americas. The Book of Mormon records that Lehi's descendants multiplied exceedingly and spread upon the face of the land. Their Middle Eastern nuclear DNA would have spread, over the last 3,000 years, throughout adjacent populations like a drop of ink in a bucket of water. At the very least their genes would have spread over many hundreds of kilometres. It would be exceedingly unlikely that their genomic DNA would go extinct and scientists exploring the genomes of Native Americans would stumble on it if it was there. But apparently the Lamanite generation, along with their genes, are nowhere to be found beyond the pages of the Book of Mormon. Have these tests been carried out on all the major Amerind groups or just the Pima and Maya? There have been quite a few admixture studies. Most are focussed on identifying genes linked to diseases so they don't generally estimate the generations to the time of admixture. But what's telling is that if Middle Eastern genomic DNA did enter a population over 2,000 years ago it would mess with the types of analyses being done. That would lead to the scientists trying to figure out why there are European markers (i.e. Lamanite markers) scattered all across the genomes. But this has not happened in any of the studies. I think the Mormon Church knows that they aren't going to find any DNA proof for the Book of Mormon. I was a Mormon and from within there's been other disappointments like this DNA situation. The Book of Abraham comes to mind. The actual Egyptian documents Joseph Smith used to translate the Book of Abraham - written by Abraham's own hand to boot - were found in the 1960's, I believe. Mormon's were excited to be able to prove that Joseph Smith really could translate. After looking at them, the documents were found to be regular burial texts and not even old enough to be Abraham's let alone having nothing to do with what Joseph Smith said they did. I also remember hearing that certain famous archeologists found this or that Mormon whatever only to come to learn later that there's not one Book of Mormon place or thing ever found. Now added together with this DNA evidence it can be assumed they will never be able to find a person, place or thing that will prove the Book of Mormon to be true. They'll just have to keep believing on faith, blind faith. By the way, I forgot to say thanks for the info and that I really enjoyed your article. I got caught up in reading between the lines and thinking as I would have as a Mormon about how if the Book of Mormon was provable with DNA, they'd have already done it and published the results. Seriously, I mean they even have a full size university, BYU full of returned LDS missionaries and people who would love nothing more than to prove that their church is true. So with that in mind you can see how I've assumed that if it was provable with DNA, they would have done that.I know that I would have loved to been able to prove the church was true when I was a Mormon. The funny thing is that it was when I was trying to prove the Mormon church was true to someone that I found out it was false, and that was quite the shocker for me. I describe my experience here. I was looking evidence to support my faith and ran into the science. In my mind you don't really need DNA scientific research to rattle the foundation of the LDS Church. I think of the Church as a house of cards that's about to come a "tumbling down". The most important advantage the Church has had up to this point was it's ability to control the message and the information members of the Church were able to see. Now the Church is in a world of hurt because of the availability of information on the internet. People are openly sharing information one with another and so if they don't catch the DNA evidence initially, they'll learn about it's sordid history. Perhaps they'll see "The Book of Mormon, The Musical" or learn about the Mountain Meadows Massacre, or see the temple ceremony on youtube and ask themselves, "Do I really believe the God of the universe has hinged my entire salvation on a secret handshake?" They'll see a news item about the FLDS Church and wonder about why they share the same history. When Boyd Packer made his "general conference" comment about gay people, within hours the Church was swamped with thousands of calls from gay rights groups and by the time the conference report came out his remarks had been edited. Even with "Mormon Doctrine", Bruce McConkie, once a prominent leader has been almost written out of Church history. As one issue seems to be forgotten, another surfaces. With the Church's new acceptance of the possibility of gays, what's that going to do to Spencer Kimballs' "Miracle of Forgiveness" book where he openly condemns gays. When the blacks in Africa learn of the Church's racist teachings and culture, how will they react? I know for myself, when I discovered how much the Church had hidden from me, I was very angry. The Church isn't likely to start sharing about it's history in any of the missionary discussions any time soon. When the RLDS Church decided to change it's beliefs they lost large numbers of members and contributions. Given the importance of the Church to the economy of Utah,it's not likely the Church is going to make any significant changes but the devoted unquestioning old guard are dying off and they were the backbone of the Church. If that does not work then the title is "The Uniqueness of Amerindians According to HLA Genes..."
Does this have any bearing on the Book of Mormon or the origins of the New World in general? The study on HLA genes aligns well with all the other molecular work, including the whole genome work I describe briefly in my post. HLA genes evolve rapidly, so not long after their arrival in the New World Native Americans will have started to accumulate their own unique HLA genes. It looks like the Lamanite DNA won't be able to hide behind the Limited Geography curtain anymore. Although frankly, those models, aside from anthropological issues, contradict the teachings of church leaders for close to 200 years. The genetics here is way outside of my expertise, but I do know a little about statistics. So I have two questions that you may or may not know the answer to. 1. Is one of the two methods considered "better" than the other? The standard deviations for ADMIXMAP are so large that we would want to be careful drawing too strong of conclusions. For example, chromosome 11 has a generation of 25.2 +- 11.7. So there is approximately a 5% probability that the true value is > 48.6. If a generation is 30 years, that is 1500 years give or take. Not far enough back for Lamanites, but far enough back to make conclusions tentative. This is obviously not an issue for STRUCTURE, hence this question. 2. Were there outliers, and if so how did the paper deal with them? The authors would obviously expect the data to support admixture beginning no more than 500 years ago, so is it possible they tossed out any observations that would have significantly increased the mean generation? Thanks for posting this. It's interesting research, and supportive of the other DNA evidence. I guess my reason for asking these questions is to make sure you don't oversell research results, especially when the paper is not really addressing the question we would like it to. You don't want to give apologists any reason to claim bias, and they don't need much. Thanks for your thoughtful comments. Some responses to your questions. 1. I don't know the ins and outs of the methods, so I'm not in a position to judge which is best. But they appear to be published methods. I agree that chromosome 11 may have large standard deviations, but the best estimate of the number of generations since admixture is the mean of the 22 chromosomes, and with these the mean and SD are a lot smaller. the number of generations for each gamete separately. On the basis of these results, we chose 15 generations as a reasonable estimation of the number of generations since admixture." So I would say that 15 generations was probably a very reliable estimate. 2. As far as I can tell they randomly selected 24 Mexican Americans. From paper again. "MAM were randomly chosen from a previous set of subjects, with the exclusion of 2 individuals (of 94) with evidence of African contribution >10%." The apologists will do what apologists do. The point I am trying to make is that their claim that Lamanite DNA can't be detected because they mixed with larger surrounding populations is not true. Thanks for the note. I don't read or participate in apologetic blogs for the same reason I don't debate Creationists. It achieves nothing. Fortunately other exmo folk (my evil spies) do and if anything interesting is said I'll no doubt hear about it. According to the Book of Mormon, by the time the Nephites added their DNA to whatever human gene pool was already in America, they would have numbered far more than a few dozen. In Alma 3, the Nephites are distinguishable from the Lamanites by skin color more than 500 years after arriving in the New World. Had they been absorbed by the native population earlier, both Nephites and Lamanites would have had the same skin color. The claim that they had a different skin color indicates 500 years of reproduction and multiplication in relative genetic isolation from the rest of the New World. So by the time they interbred with whatever population was present, they would have numbered in the thousands. The fact that the Book of Mormon never mentions that another population was already present is a glaring omission anyway. Lest the existence of other people in the New World be dismissed as too trivial to mention in the Book of Mormon as some apologists have indicated, it's worth noting that Nephi mentioned that there were goats, asses, horses, cows, and oxen in the New World. Surely the discovery of people in the New World is no more trivial than the discovery of Mesoamerican asses. Exactly my point too. Nephi mentioned that the record was about the ministry of his people. I guess the apologists consider naming the animals and other resources while ignoring other groups that obviously needed conversion before mixing with them to be a truer record of ministry and a wise use of available writing material. And there is also the problem of communication. And to think that Jacob 5 spent a lot of space to talk about the allegory of the olive tree and the grafting in of the gentiles (I would suppose the "non-Israelite" Native Americans were gentiles) and yet not mention actual gentiles they encountered would be so preposterous a proposition. For many years I've gotten a kick out of introducing my Native American friends and asking people to guess their heritage. I only did it because I thought their heritage was fascinating: Navajo and Apache. I figured some people would pick up on clues like the turquoise and silver they wore. It's a lot of fun to watch people examine them and make their guesses, and even more fun when my Native American friends swell with pride as they identify the tribes they're from. Never has anyone guessed that they were Middle Eastern. They don't have the skin tone, body hair or features of a Middle Easterner. But they often do guess some form of Asian or Pacific Islander. I think it's time for LDS people like me to do the right thing and honor their true heritage. We've said terrible things about them in the past and owe them much more respect than that. We pride ourselves in being honest, decent, loving people, and we'll feel better about ourselves if we really live those virtues. You are doing them and us a great service, Simon, to help us move forward and no longer think of our Native American friends as cursed with a dark skin because of the wickedness of their forefathers. "Millions of the Jaredites are slain in battle...."
verse 2. "...there had been slain two millions of mighty men, and also their wives and their children." If you count soldiers, women and children there could be as many as 3 million. Wouldn't the Laminites have to have been in the millions as well? I don't understand how apologists can say that the israelite group was so insignificantly small that the DNA would "genetically drift away", do you? I am native american and a member of LDS church. I really think it doesn't matter if you can prove or disprove DNA from Jewish background. It all based on your belief or disbelief in the Book of Mormon. It is not big deal as far as I am concerned there other issues and topics that are better to focus on. Whether you are not a follower of Christ. I'm a Native American too. And I think you are a delusional fool for buying anything these liars have been saying about our ancestors. Pathetic brain washed fool! Science is here to support us in discovering the true nature of who we are. To discount it is foolish....A great book about about some amazing truths that are coming from the archeology world is called BREAKING THE GODSPELL.by Neil Freer. Your Destiny is YOUR responsibility....If you leave it up to someone else...you could end up in LA LA land. You have stated elsewhere that, "In 600 BC there were probably several million American Indians living in the Americas. If a small group of Israelites, say less than thirty, entered such a massive native population, it would be very hard to detect their genes today." You and others claim that the limited geography model has only been postulated to deal with a change in understanding resulting from DNA data and other research. But the reality is that some form of the limited geography model has been suggested since the 1840s. Many of the LDS scholars have advocated a limited geography model for the last 70 years, long before any of the DNA data have been available. The Times and Season' suggests such a model in 1842. So I am wondering why the claim that such a model has only surfaced after scientific data has emerged. That being the case, I think your statement above demonstrates a more objective position of the value of DNA data in evaluating the claims of the Book of Mormon. DNA cannot prove or disprove the Book of Mormon. You are relying upon the assumption that the Book of Mormon describes a hemispheric model. But the text is simply contradictory to such a model. It consistently describes a geographic area roughly 600 miles by 150 miles. You forgot to mention the Malaysian Geography model, the Heartland Geography model, the Palestine model and a bunch of other apologetic models which try to fit the Book of Mormon with the real world. Which one should I accept and which ones should I reject? Why should I accept anything written by an apologist when every single prophet since (and including) Joseph Smith have openly supported a hemispheric view? You are talking to the wrong person. You need to convince the leaders of the church that their hemispheric views are wrong and you are right. If members hear this from the prophet they are more likely to believe it. Good luck. Whether the prophets have made any official declarations is entirely beside the point. There is no official position on geography. The scientific approach is to observe 1) claims of the Book of Mormon and 2) examine the physical world. Then compare the two. There are tremendous correspondences between Mesoamerica and the Book of Mormon. The existence of flaws in Newtonian physics did not preclude other, more data supported theories like relativity or quantum physics. Why should the existence of other, less supported models for Book of Mormon geography necessitate throwing out everything as false. That is a fallacious argument. By the way, Joseph Smith's perceptions on the geography clearly evolved over time. And there is absolutely nothing wrong with that. In fact, what is implied by the fact that the supposed author of the book had early perceptions about the claims of the book that were entirely inconsistent with the actual claims? Just to clarify, the "two millions" of people who died did so over the course of many years. In fact, this description of so many people being killed is describing a period in which there were 5 Jaredite Kings against which Coriantumr fought. So it was not as if it was a single battle- more like a sustained campaign over many years. Mr. Southerton- what do you make of the Icelandic study which showed that within 150 years, there are ancestors for whom no genetic trace can be detected? And what of the study from Yale that showed that today's Jews had DNA that was more similar to Eastern Europeans than any of the Near Eastern people? I think you are overstating your position and argument. DJBrown said "Mr. Southerton- what do you make of the Icelandic study which showed that within 150 years, there are ancestors for whom no genetic trace can be detected"
In what way does Iceland resemble the land the Lehites arrived in? - From 1701 to 1803, Iceland’s population declined from 50,358 to 47,240 due to severe economic hardships. - Most of Iceland’s population were farm labourers, and frequently the poor never married or raised families because it was considered improper for labourers to “fill the earth with ‘weaklings’”. - In 1783 one of the largest volcanic eruptions in the last 12,000 years rocked Iceland. Mount Laki erupted, killing tens of thousands of cattle and horses and hundreds of thousands of sheep. Between a quarter and a third of the population perished due to fluorine poisoning and smallpox. -Between 1870 and 1914, 20 percent of Iceland’s population emigrated to North America. Since 1914, emigrants have typically outnumbered immigrants. Emigrant groups are likely to have been dominated by younger individuals of reproductive age. In spite of its population history, ALL of the mitochondrial DNA lineage families found in Iceland's population in 1700 were identified in Iceland's population in 2000. Yes, individual lineages can go extinct, but the lineage families didn't. Iceland has always been a very marginal place for human occupation with its arctic climate and volcanic activity, in contrast to the Promised Land of the Book of Mormon where crops thrived and wildlife and precious metals were found in abundance (1 Ne. 18:24-25). There are also few similarities between the population history of Iceland and the history of the Lehites and Mulekites described in the Book of Mormon. Nephi saw a vision of the New World in about 600 BC in which he saw that his “seed” and “the seed of [his] brethren” had multiplied until they did “number as many as the sand of the sea” (1 Ne. 12:1). Numerous passages throughout the Book of Mormon detail the fulfilment of this prophecy. In 588 BC the Lehite populations were prospering “exceedingly” and “multiplying” in the land (2 Ne. 5:13), and by 399 BC they had “multiplied exceedingly, and spread upon the face of the land” (Jarom 1:8). When the descendants of Mulek join the Nephites, we are informed, they are “exceedingly numerous” (Omni 1:17). By about 124 BC, there were so many people in the Book of Mormon civilizations, they could not number them because they had “multiplied exceedingly and waxed great in the land” (Mosiah 2:2). By about 46 BC, they had spread until they “covered the face of the whole earth, from the sea south to the sea north, from the sea west to the sea east (Hel. 3:8). I see no reason at all to believe that Lehite DNA would go extinct given what the Book of Mormon actually says. So let's look at the population bottlenecks in the Book of Mormon. The narratives starts with roughly 30 individuals 600 BCE. Between that time and the end of the Book of Mormon (421 AD), there were major population decreases including 1) the many wars described in the text in which countless numbers were lost 2) the destruction at the time of the crucifixion of Christ- the list of cities destroyed at that time is long and would have involved tens of thousands and possibly hundreds of thousands. 3) the genecide that occurred at the end of the record with the vast majority of the Nephites being exterminated along with at least as many Lamanites. Then you have the decimation of the natives throughout the Western Hemisphere when the Europeans arrived. It is estimated that 90% of the natives died as a result of disease. I found your research interesting and compelling. Can science support the Old Testament? Southerton the plant geneticist spouts forth once again. Please tell us where you got your samples of the DNA for Lehi, et al. Tell us precisely what DNA characteristics you are looking for. I email you several years about that issue, so have you found an answer? Do you understand that Lehi was from the tribe of Joseph, who intermarried with the Egyptians, and sample from MODERN Jews do not represent his DNA. As a **plant geneticist** you would not understand such things. Your arrogance is impressive. Have you considered signing on with FAIR? Do you understand that Lehi, et al was a small group incursion into a very large group. Neanderthal DNA is present in all population groups except African. It was introduced early into the gene pool of all humans. May I suggest, as a plant geneticist, you look carefully into the "founder effect" of a small group entering into a large population, also "genetic drift", since you clearly know little about population genetics. Surely you know the difference between apples and oranges. As a plant geneticist I can confirm that I do know the difference between apples and oranges. "A Human and a grain of rice may not, at first glance, look like cousins. And yet we share a quarter of our genes with that fine plant. The genes we share with rice—or rhinos or reef coral—are among the most striking signs of our common heritage. All animals, plants, and fungi share an ancestor that lived about 1.6 billion years ago. Every lineage that descended from that progenitor retains parts of its original genome, embodying one of evolution’s key principles: If it’s not broke, don’t fix it. Since evolution has conserved so many genes, exploring the genomes of other species can shed light on genes involved in human biology and disease. Even yeast has something to tell us about ourselves." Disrespecting Dr. Southerton for being a plant geneticist is not only rude it is a manifestation of rather profound ignorance on the part of the critic. - However, it is a great set up for his clever retort. I have an answer to the Jewish DNA. Jewish DNA is very similar to all the people of the Mediterranean. Therefore, the jews are most like the Greeks and Italians. The original Israelites were a mediterranean people related to the Phoenicians and their offshoot the Carthaginians. Some Jewish lineages seem to have started out in Iraq, as have some Greeks and Italians did too. Eastern Europe used to be part of the Great Byzantine empire and they spoke GREEK! Now the Native Americans are in no way related to the people of the Mediterranean. It's a totally different people, not even close. They are most like the people of the Pacific islands and Asia. All these DNA results do is validate existing mainstream Archeology and Linguistic studies that have been around for decades. I remember the day that I compared a linguistic map of ancient America published in 1960 to the latest DNA findings. They were virtually identical. To think the real answer was available to me for the most of my life. It appears that president Kimball didn't read linguistic books either. It's been well over a decade since Simon published his experience applying the Genome Project results to the Lamanites. That was the last straw to my existing list of Mormon faith killers (Masonic Endowment, BoA, and Polygamy). I quit my church job and sent in my letter of resignation. How many Native Americans have now been tested and how many tribes do they represent? The latest numbers I have are from 2008. Deer and tapirs pulling chariots helped sink the last of my belief.